When the 2019 season commences in May, it will be without one of the WNBA’s premier stars. 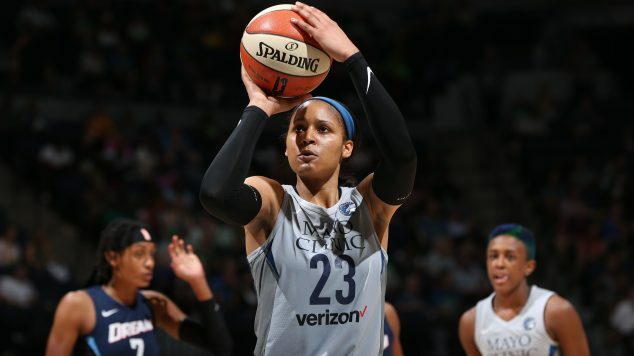 Maya Moore ended weeks of speculation on her future when she wrote an article for The Players’ Tribune announcing that she will sit out the upcoming season. 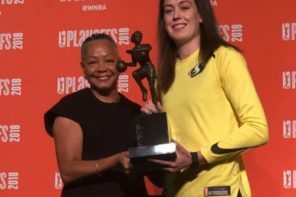 Moore wrote that instead of basketball, she plans to take time to focus on her family as well as her faith. I’m sure this year will be hard in ways that I don’t even know yet, but it will also be rewarding in ways I’ve yet to see too. Moore was given core status by the Minnesota Lynx last month, which prompted much speculation on her future. Speculation ranged from her demanding a trade to her retiring from the WNBA altogether. 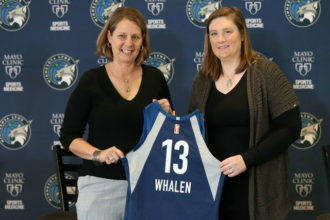 Lynx head coach Cheryl Reeve was at an event for season ticket holders and said that Moore was happy in Minnesota and did not request a trade. 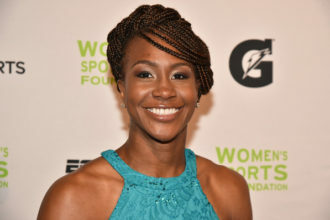 Moore has built a Hall of Fame caliber career throughout her time with the Lynx – including winning regular season MVP in 2014, five All-Star appearances, the last three All-Star MVPs, and four WNBA championships. The 2018 season was one that was tiring for the 29-year-old Moore. She was expected to be one of the team captains for the All-Star Game, which was held in Minneapolis, but did not do so. In addition, she did not participate with Team USA in the FIBA World Cup in Spain after the conclusion of the season. On the court, it was also an unusual season of sorts for the Lynx, despite moving back to Target Center after renovations were complete. 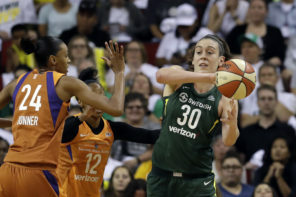 Minnesota was eliminated by budding rival Los Angeles Sparks in the first round of the playoffs and another one of its premier players in Lindsay Whalen was transitioning full-time to being head coach with the Minnesota Golden Gophers. Maya’s walk is a living example that one’s confidence level with always be unbreakable when your faith is at the forefront. When you know, you know. Good for Maya Moore to step away on her own terms for a year to pursue something extremely important to her. Glad that it wasn’t a financial decision. But also, our women athletes deserve so much more money than they are making. Losing Maya Moore for the year really hurts for obvious reasons. This could end up helping Minnesota in the long-run, though. Plenty of opportunity for role players to shine. Karima Christmas-Kelly was a great signing, and I’m ready to see what Alexis Jones can do. Maya Moore is one of the Top 5 WNBA players of ALL-TIME. This is a huge and I’m sure extremely tough decision on her part. But, one I’m sure she’ll be proud of in the end.